U.S. authorities have arrested the alleged owner of the world’s largest torrent site after Apple shared personal details linked to an iTunes transaction that enabled federal investigators to locate their suspect. 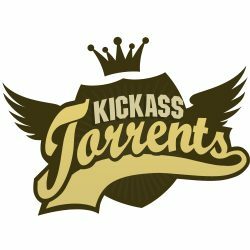 According to TorrentFreak, Ukranian-born Artem Vaulin was arrested yesterday in Poland on suspicion of running KickassTorrents (KAT), which recently surpassed The Pirate Bay as the go-to site for unofficial copies of movies, TV shows, and music. The U.S. Justice Department has requested 30-year-old Vaulin’s extradition on charges of criminal copyright infringement and money laundering. The key piece of evidence that led authorities to Vaulin appeared to come when Apple handed over his personal details after investigators matched an IP address used to log in to the KAT Facebook page with one linked to an iTunes purchase. According to the complaint, KAT operates in 28 languages and offered movies still in cinemas, as well as other content, earning significant revenue from advertising throughout the site. Investigators also reportedly posed as an advertiser to the site, which revealed a bank account associated with it. The U.S. Department of Justice estimates KAT’s value to be over $54 million, with annual advertising revenue in the range of $12.5 million to $22.3 million. KAT reportedly helped distribute over $1 billion in pirated files, according to assistant attorney general Leslie Caldwell, who commented on the case. In addition to Vaulin’s extradition, the criminal complaint has also ordered the seizure of a bank account associated with the site, as well as the seizure of several KAT domain names. TorrentFreak reports that while the main KAT domain appears to be down, various proxies still lead to working versions of the site.